Getting Married Soon? 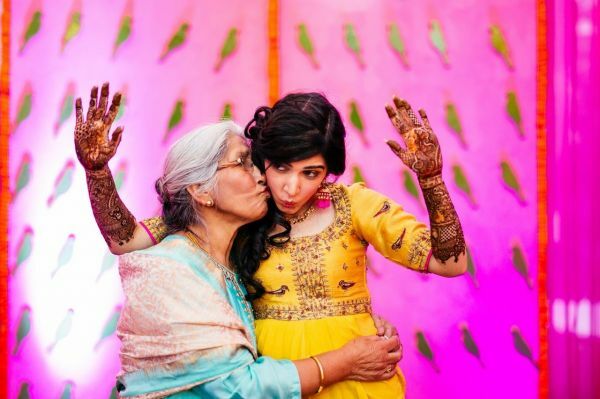 Here Are 16 *Cutesy* Family Pictures You MUST Get Clicked! 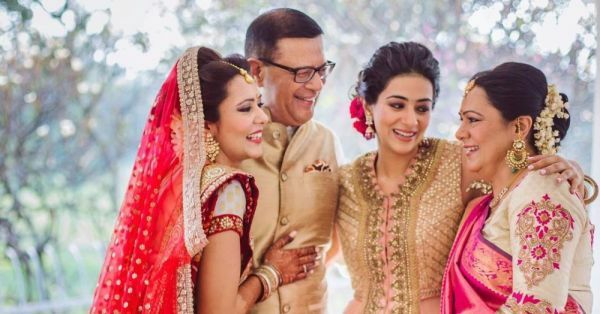 A twirling photo in your pretty bridal lehenga and a lot of poses with your hubby dearest are some pictures that should definitely be on your dream wedding album. But candid family captures have a charm of their own. And no, we are not talking about cliche senti poses with your parents and those kaleera tying pictures with your sisters. Move over cliches and have some fun, girlie! Here are 16 super cute family photos which you must include in your wedding album. Trust us, you will love each and everyone of these. 1. One before you get ready for the big day because what is life without some quirky antics with your girlies? Don’t you just love the bright pink robes the bridesmaids are adorning? Buy a similar one for yourself on Myntra for Rs 279. 2. Much-loved sister, are you? Well then this is a picture that is a MUST in your wedding album. One with your sisters lovingly holding you on your mehendi function! 3. 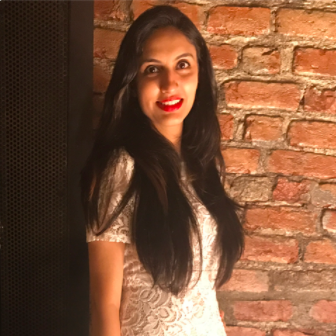 A toast to new beginnings! Bring together all your sisters, cousins and friends and definitely get a picture like this clicked with them! Don’t you just love the burst of colours in this picture? 4. Bhai bhai! You need to get all your brothers together for a super fun picture like this one too. It will be a lovely addition to your wedding album. Brothers also tend to add a fun element to pictures nonchalantly, so that’s a double yay! 5. Of all things bright and beautiful! Apart from the effervescent colours of the bride and her sister’s outfits, their gorgeous smiles are lighting up the picture, aren’t they? Seeing so much yellow has gotten you in a cheery mood? This yellow kurta we found on Jabong for Rs 1,000 is all you need to fit into the happy vibe! 6. Why not add a quirky element to your wedding album with a candid picture like this? Don’t you have moments like these too when you just feel like squishing your mom? Let all those emotions flow and get fun pictures clicked with her… You’ll surely love reminiscing about them later. Love the bride’s blue lehenga? We do too and so we actually found a similar one for ourselves! Okay, we don’t mind sharing it with you too! Get it on Amazon for Rs 4,400! 8. Maa ka pyaar is the best and purest emotion in the world! Let those emotions show then, with a super emotional shot like this one! 9. Dadi maas are the cutest people ever, aren’t they? They are your saviours, your friends and your permanent bank. Show her some love (or let her show you some) with a super cute and candid pose like this one! Oh-the-prettiness! 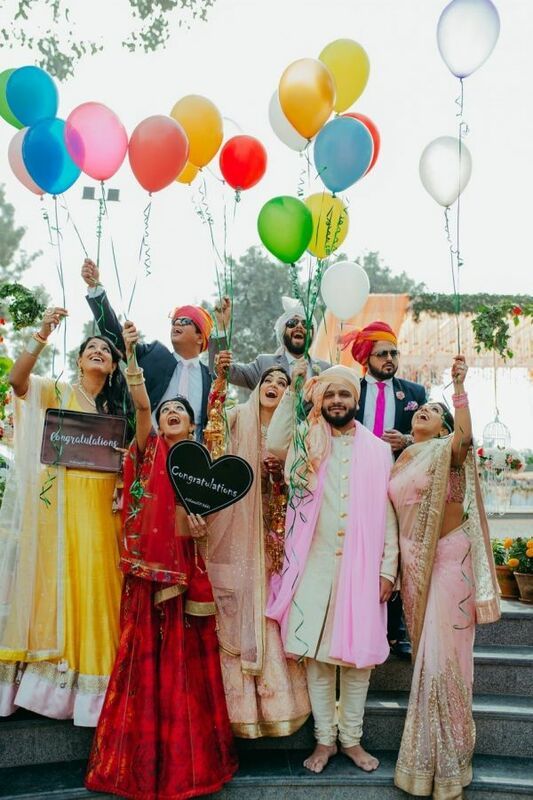 Yes, we’re talking about the picture AND the bride’s gorgeous pink tassel earrings. Get similar ones on Amazon for Rs 299 only! 10. Colourful helium balloons signify happiness, celebration and new beginnings. And aren’t these qualities what weddings are all about? So bring all your family members together, and get this awesome photo with them. You can also use lanterns instead of balloons if it’s a night wedding! 11. A jumping in the air photo with all your girls is a must! How else do you showcase your excitement and happiness if not by jumping happily?! 12. One picture that is perfect for the bride who likes all things royal! Get your sisters (or your sister and bhabhi and mom) to pose with you like this on your D-Day… You will love it, really! 13. One with all the ladies in the fam… your own version of fam-jam! Cool, no? You can decide what poses you want them to do - a flying kiss or another filmy pose! 14. One with maa paa and your sibling(s). This will be an ideal picture to frame and decorate your living room with! You HAVE to get this one clicked! Silk is classy and evergreen and the perfect way to make your mom look pretty! Buy a gorgeous silk saree for your mom and show her how much you love her! We love this one available on Myntra for Rs 3,289! 15. A kissy photo done right, ladies! You are the centre of attention on your big day, so a picture that shows you are highly loved and pampered is a must in the album! 16. And how can we forget the one with the doggo! Your pet is as much a member of your fam as anybody else! He/she has to be a part of your wedding in every possible way - so yes, even the album!